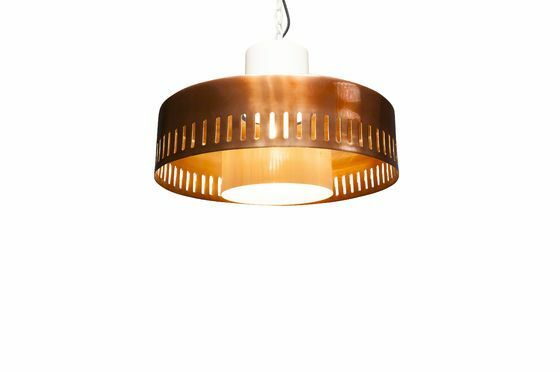 With its delightfully retro neo-futuristic design, the retro ceiling lights Aheris looks to have originated from one of the prestigious houses in an early James Bond film. 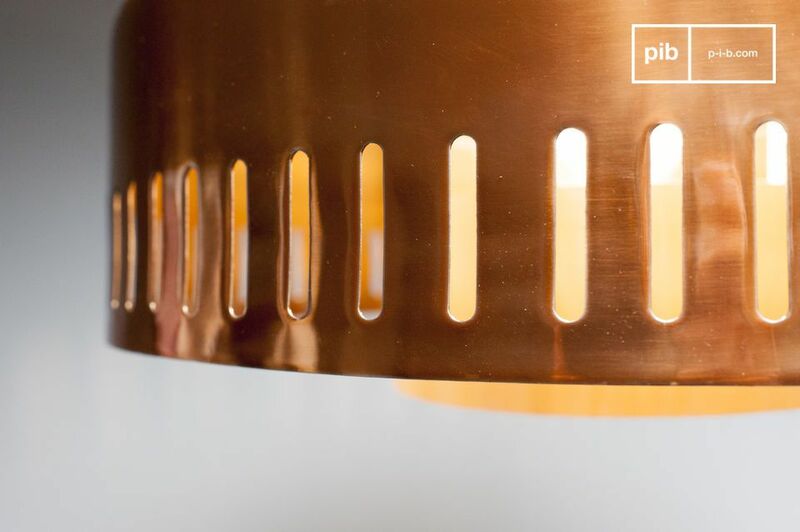 Made entirely of metal, this lamp is composed of two cream-white central parts surrounded by a copper ring, meticulously perforated with vertical orifices. 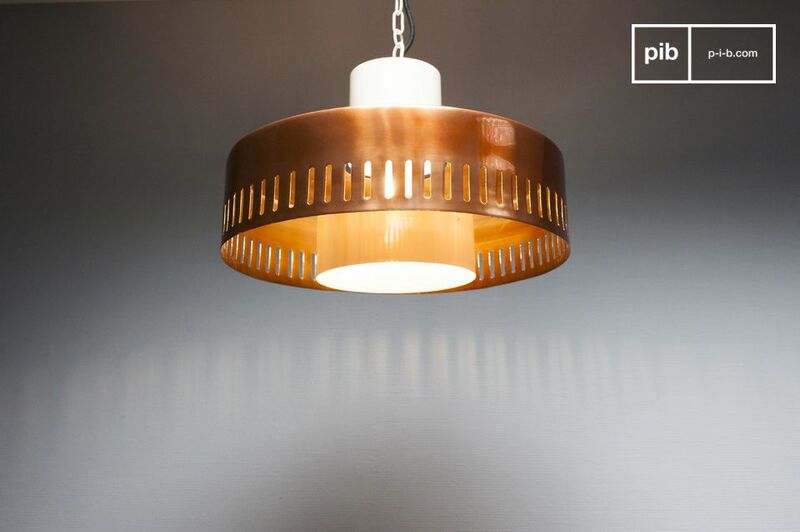 These rounded slots form the vintage style of the Aheris hanging lamp, projecting luminous, aesthetic patterns onto the walls. This is a lamp which does not lack style. It can be integrated into an interior with vintage touches, or into a contemporary interior. 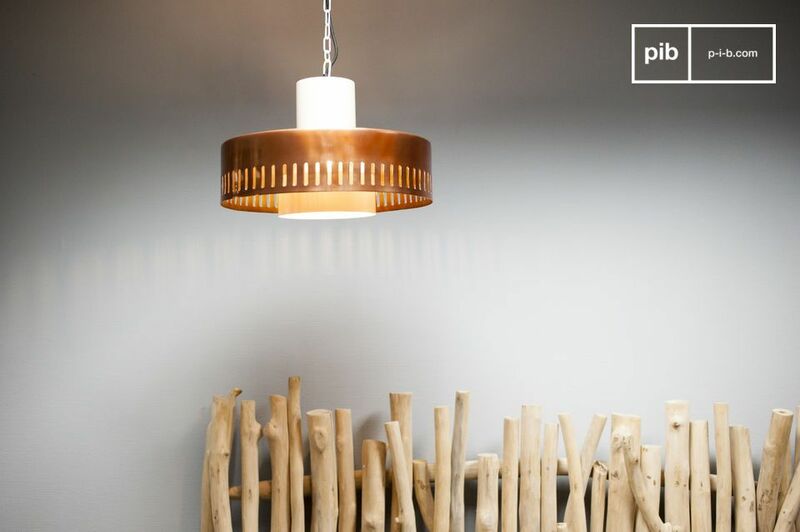 Its large diameter of 43 centimeters allows it to be used as the main light source in any room. 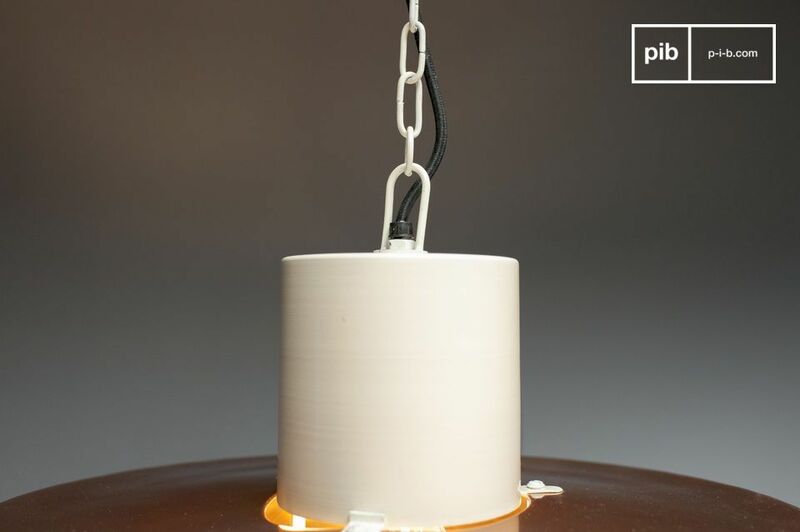 Works with an E27 screw light bulb. Lamp power: 25 Watts.